Nearly 100 attendees at the 2018 Angus Convention took part in a meats judging contest sponsored by the Certified Angus Beef ® (CAB®) brand in partnership with The Ohio State University (OSU) Intercollegiate Meats Judging Team. The Nov. 4 event in Columbus, Ohio, brought past and current competitors into the ring as well as those interested in the process for the first time. All were bound by the Angus breed. “This gives producers the opportunity to see how value is assigned in what could be an unfamiliar but necessary part of the industry,” Justin Sexten said. As CAB director of supply development, Sexten helped facilitate the contest under the leadership of packing director Clint Walenciak. Angus Convention attendees are familiar with judging live animals, Sexten obliged, but to see how meat is priced by the packer and evaluated by the consumer in the meat case sheds light on the bigger picture. “It allows cattlemen to think about how their breeding decisions will impact the end product,” Sexten said. Not to mention how dollars end up back at the ranch. Scott Pohlman, Pohlman Cattle Company, participated with a perspective from both sides of the aisle. Besides raising registered Angus cattle near Hereford, Texas, he’s general manager at Cargill Meat Solutions, Friona, Texas. 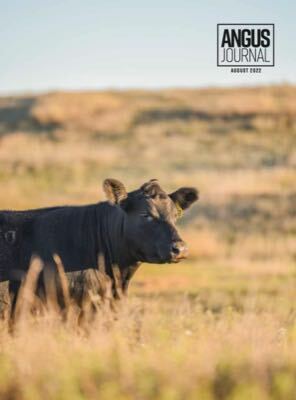 “This is a great opportunity for live animal producers to get engaged in evaluating subprimal and retail cuts to see how those cuts are assessed at the in-between step of merchandising and marketing those to the consumer,” Pohlman said. The Texan’s day job is to ensure the safety of employees and safe production of beef for consumers every day. His nights and weekends belong to his Angus at home. That responsibility pulled him to Angus convention to learn and interact with fellow producers. While no similar contest is yet scheduled for next year, Sexten said the participation and positive feedback were more than his team anticipated. “The most impactful thing was just the number of participants who enjoyed the memory of going through meats judging, who had judged previously,” he said. Beyond that, many Angus producers who consume beef that never saw a retail setting had the chance to see it displayed. Thinking about that from the consumer’s perspective was a fun exercise for them, Sexten said. The meats judging contest consisted of five classes: whole beef carcasses, beef rounds, ribs, porterhouse T-bones and a class of retail identification cuts that included the top round steak and flank steak among others. Participants were placed in three divisions: Adult (22 and older), Young Adult (14-21) and Youth (13 and younger). Those placing second through fifth in all divisions received gift cards to shop CAB’s branded clothing line in the Black Hide Collection, while division winners were awarded $650 in Greeley Hat Works credit. OSU provided officials and tabulated results, with details available on Judgingcard.com.